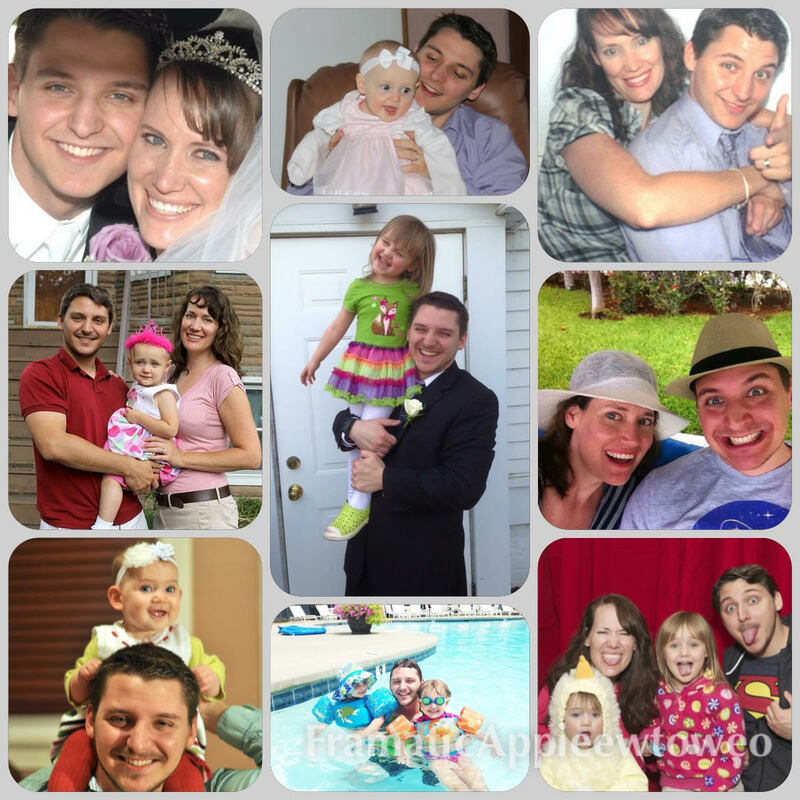 In 2015, our family moved to central Maryland, where my husband was stepping into a new role as the youth and young adult pastor at Greenridge Baptist Church. As we met members of our new church family, I was horrified to learn what was happening less than four miles away. Along with clinics in California, Colorado, and New Mexico, Germantown Reproductive Health Services performed third-trimester abortions. 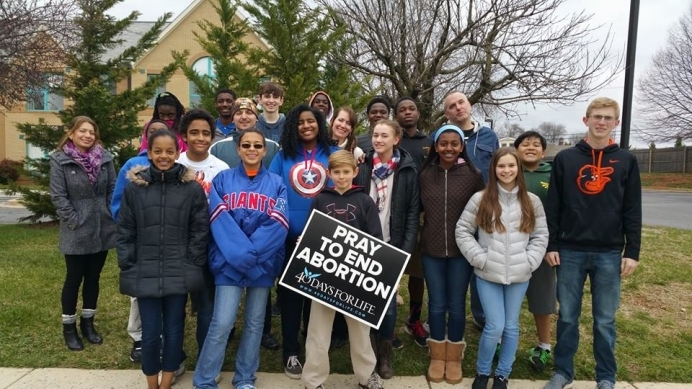 Even a woman in her ninth month could end her child’s life through abortion…. Continue reading on PregnancyHelpNews.com. What’s the significance of a single soul? How far does one life reach? As a teen and young adult, I longed for a God-scripted love story. I devoured books like Elisabeth Elliot’s Quest for Love and Passion & Purity. 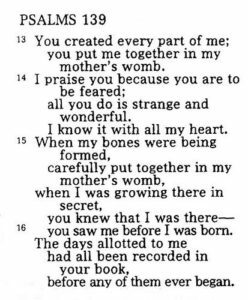 Realizing my Creator knew me better than anyone, and knew every man as well, I asked Him to choose my husband. Mark complements me perfectly and has been an incredible blessing to me and many others. 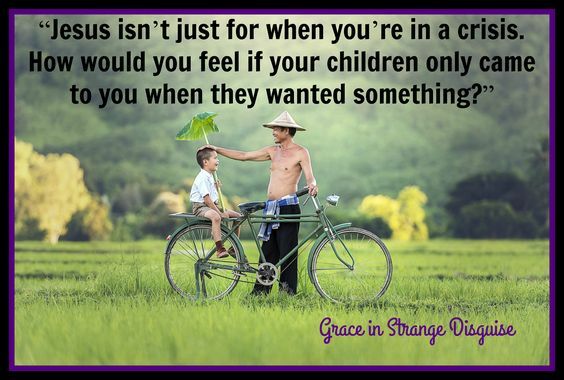 But when my mother-in-law was pregnant with him, her circumstances would have led many women to have an abortion. What if Mark had never been born? A story grew in my heart, one I felt compelled to share. I wanted to speak about this issue of life in a way that readers could experience its impact. I wanted to teach these truths through a story, so I could reach more people with the message. These are questions women across our country have wrestled with for 44 years. 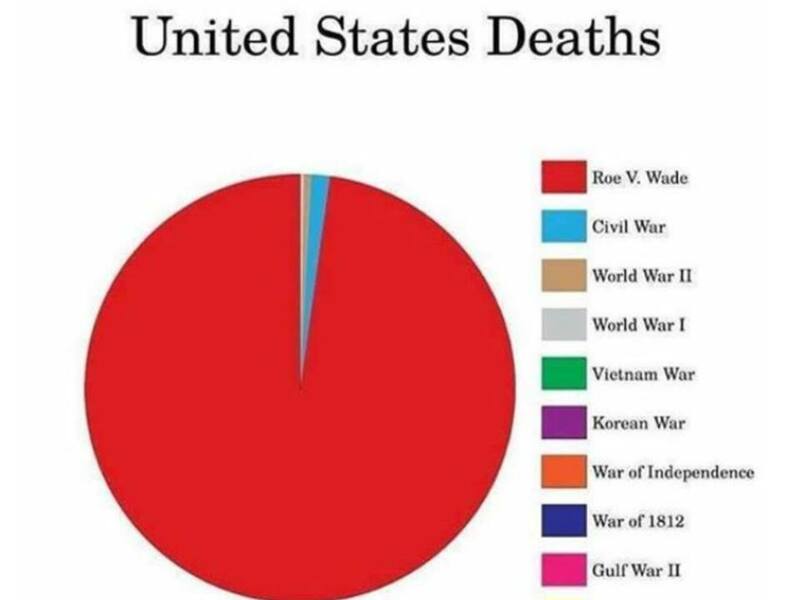 Since Roe v. Wade, 60 million unborn children have died in the land of the free and the home of the brave. I want you to pause a moment and take in that staggering number. The number of Americans we’ve lost to abortion is greater than all the Americans we’ve lost in all our wars. That includes the world wars, the Civil War, and the Persian Gulf War, not to mention all the others. 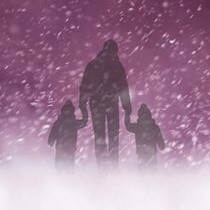 Snow out of Season starts with two pregnant women separated by time. On the one hand, we have 35-year-old Shannon Henry. She’s just starting to put her life back together after the death of her infant daughter when she discovers she’s pregnant again. Afraid of losing another baby, she hides the news from her husband Wade. When her doctor presents her with the choice of raising a child with Down syndrome or terminating the pregnancy, Shannon is torn. The other pregnant woman in the story is Leslie Gardner. A high-school senior in 1978, she dreams of becoming a professional ballerina. But if she keeps the baby, her chances of a dancing career and college are probably over. If she secretly has an abortion like her boyfriend wants, her life can go on as planned. 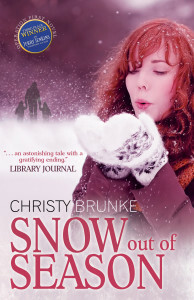 Learn more about Snow out of Season here! 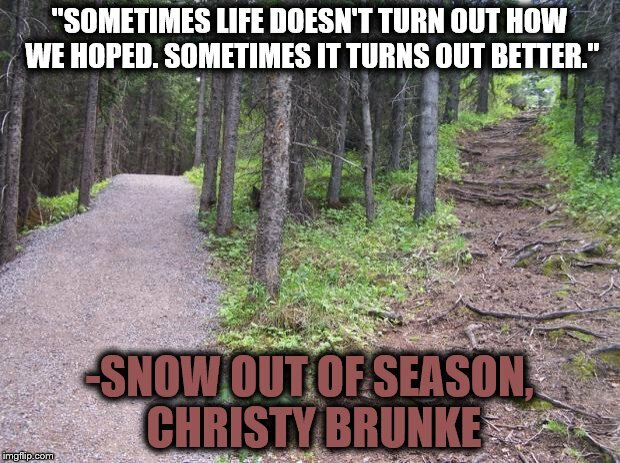 The above quote is from Leslie Gardner in my bestselling debut novel, Snow out of Season. How has your life turned out differently than you expected? Was the change ultimately positive, negative, or both? Share your thoughts in the comments below! 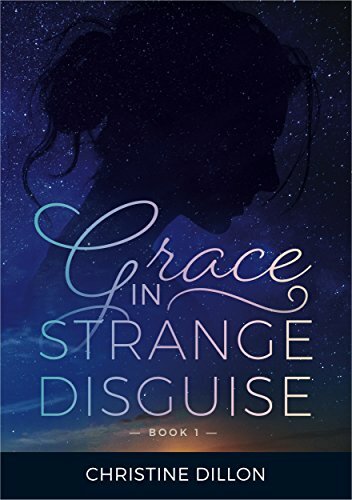 Last week, I reviewed Christine’s inspiring novel, Grace in Strange Disguise. 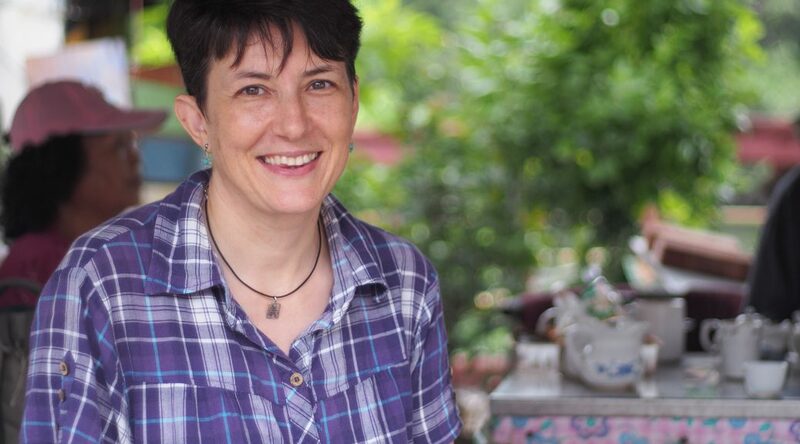 This week, I have the privilege to interview her about her paperbacks and her lifelong passion. Christine, for my readers who are new to you and your writing, can you tell us a little about yourself? I’m an Australian who was raised in Asia. My parents were missionaries in Taiwan, and I did my early schooling in Malaysia and middle/high school in the Philippines. It wasn’t until I was 17 that I headed back to Australia and learned to belong there. After school, I studied physiotherapy (Physical + respiratory therapy for those in North America) and worked in both public and private hospitals/clinics. Since I became a Christian at age seven, I’d planned towards becoming a missionary. So I studied for a theological degree and then returned to Taiwan in 1999. I have the best job in the world—I get to tell Bible stories all day! [Tweet that!] I also train others how to make disciples. My friend Becky was diagnosed with breast cancer at age 30 and passed away from it at the young age of 33. Your book brought back memories of her and helped me understand more of what she must have gone through. Of course, her church and family were much more supportive than Esther’s. What inspired you to tackle breast cancer in this story? Did you or someone close to you battle the illness? My mother’s sister died of breast cancer when she was 34. I think that is one reason I chose that kind of cancer. But another reason was that it had to be a common cancer that younger women are faced with. The things that were said to Esther about why her cancer lingered (lack of faith, you must have sinned …) are sadly, far too common. Many who have cancer hear these words. Were the people Esther shared the gospel with in the novel based on real conversations you’ve had? The conversations were all real in the sense that they are some of the things I’d say in my daily conversations. I found those parts the easiest part of the novel to write. I’m looking forward to reading the sequel to Esther’s story. When do you expect it to be released and can you give us a teaser about the plot? I’m aiming to release book two in October 2018. That means the first draft needs to be done by the end of January. I have started writing and thankfully should be able to use some material that was cut from the original book one. My teaser is still veiled in secrecy: Esther had longed for something all her life. Be careful what you wish for! It now looks like my initial standalone story will become a series of five. I only worked this out a few weeks ago. I’m already thinking about books three through five as I write book two. Reading your novel made me want to read your nonfiction book, Telling the Gospel Through Story. How did you come to write that one? 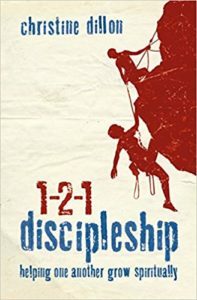 I had already published one book, 1-2-1 Discipleship, so the idea of getting things down in writing was already in my mind. I could see that the Lord was doing amazing things through Bible storytelling and I realized that if I was to write a book on storytelling, then 2010 was the time. In Cape Town, God arranged for me to meet the man who eventually became my editor. I didn’t even know he worked for Intervarsity Press. 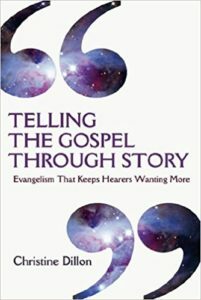 They published Telling the Gospel Through Story: Evangelism That Keeps Hearers Wanting More in 2012. Alongside the book we developed a website, StoryingTheScriptures.com, because Bible storytelling is an oral communication form, and it suited a website better than a book. We now have seven languages on that site, and it’s expanding all the time. There are also nearly 650 on the Facebook group, Storying the Scriptures. A great place to learn and grow together. 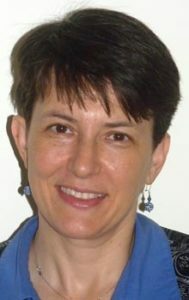 Learn more about Christine Dillon at StorytellerChristine and StorytellerChristine.com. In Christine Dillon’s debut novel, she tackles these questions with grace and grit. Her response goes beyond our sometimes painful present to impact lives for eternity. Esther Macdonald seems to have it all: a fulfilling career, an attractive fiancé, and a respected role at her dad’s megachurch. But then she’s diagnosed with stage three breast cancer just weeks before her wedding. Then a cleaning lady’s comment causes Esther to question everything her dad teaches. She searches the Scriptures for herself and begins a fresh journey with the Jesus of the Bible. But this new understanding drives a wedge between Esther and her dad, her fiancé, and even her church. Will she have the courage to follow in her Savior’s footsteps, no matter the cost? One of Dillon’s nonfiction books. But what I liked most about Dillon’s story is how it’s inspiring me on my mission to become a wiser soul-winner. I’m waiting with eager anticipation to read the next installment in Esther’s story. I would recommend this novel to people who are suffering and Christians who are longing to become bolder evangelists. Want to learn more about Christine Dillon and what inspired her to write Grace in Disguise? Check out our interview here!